Can you identify the JRR amphibian* shown above? If in doubt, here’s a great link to the Alberta Environment and Parks blog about Alberta’s Amazing Amphibians. It’s full of information on identifying Alberta’s species of frogs, toads and salamanders – essential to our healthy eco system — and talks about the importance of monitoring their numbers and protecting their habitat. There’s even a link to report sightings of various species. 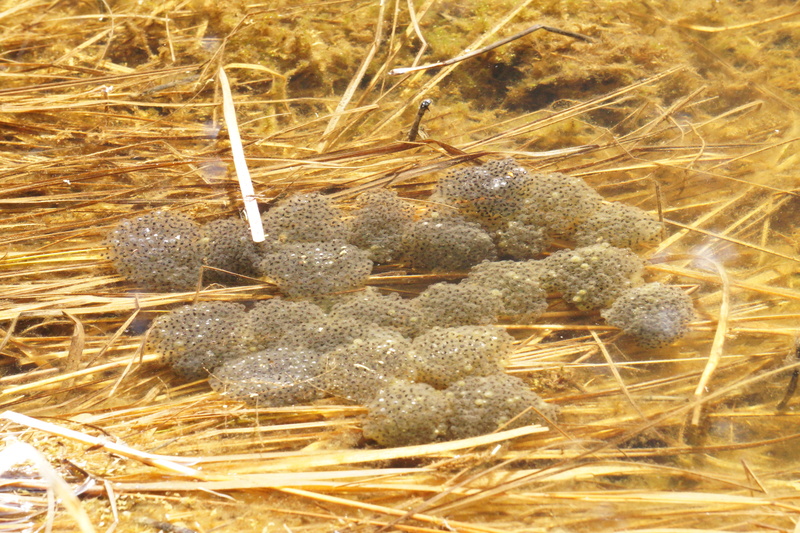 A healthy spawn of amphibians-to-be in a small pond on the south side of the retreat. 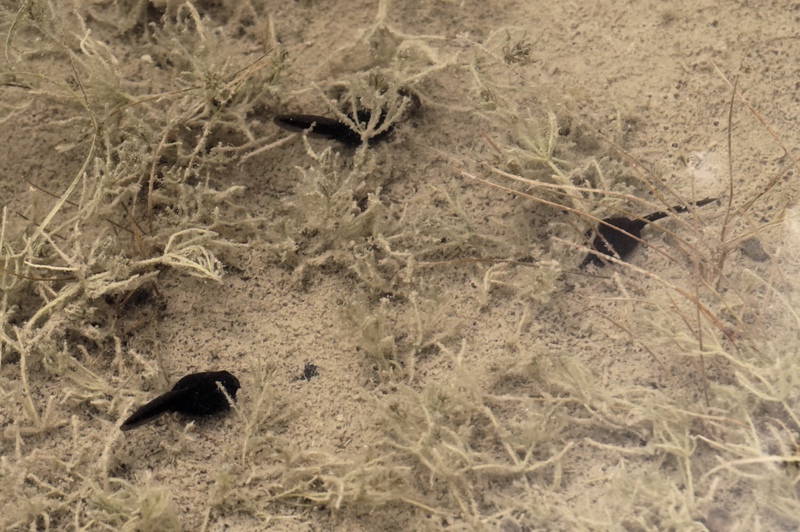 And just last weekend we observed these thriving tadpoles in the JRR fish pond. So, it looks like it’s going to be a great summer for evening croaking choruses, a welcome – and healthy – addition to the natural soundscape of the James River Retreat. *Ready to try and identify the amphibian pictured above? Check out Alberta’s Amazing Amphibians once more and then click here to see what we think it is. Do you agree? This entry was tagged amphibians, eco system, frogs, salamanders, toads. Bookmark the permalink.